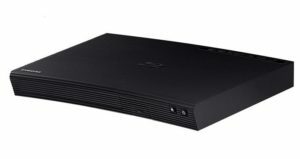 In this article, I will review the top rated and best portable blu ray and DVD players available on the market in 2019. Stay tuned! This model is not available anymore. CLICK HERE to see the currently available portable bluray players! 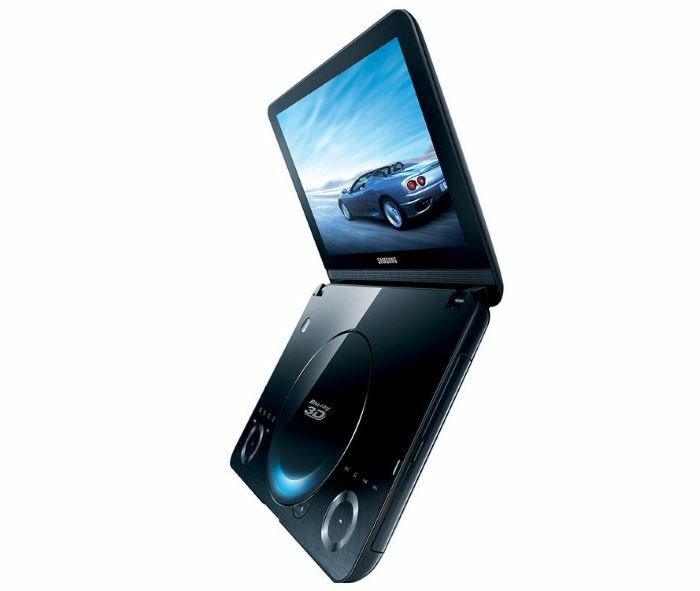 As a part of its big 3D push, Samsung has announced Samsung BD-C8000, the world’s first 3D-capable portable Blu-ray player. 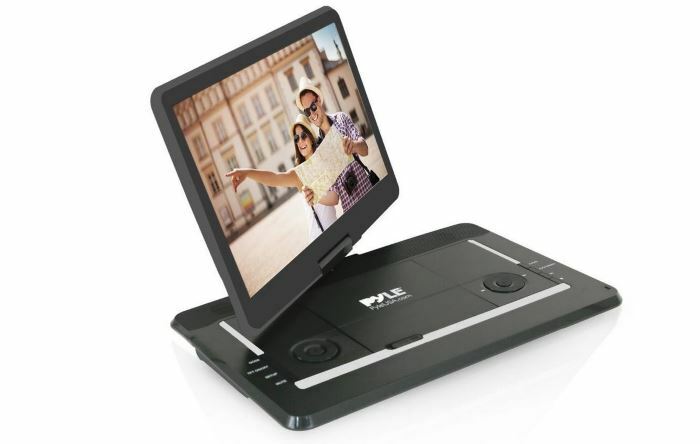 Yes, it is 3D capable, but it will not play 3D movies on the go – you have to hook it up to 3D TV to get that functionality. So we still have to wait till we are able to watch 3D movies during the long flight across the ocean. Another cool thing about BDC8000 is that it is more than just a BluRay player. It is a real multimedia player. You can plug your 1TB portable hard drive with hundreds of movies in your Samsung player. And it will play every type of multimedia file, from simple DivX to MKV files and more. You will have to try really hard to find a format Samsung BD C8000 portable BD player will not play. And Samsung player BDC8000 also will play all those files you burned to DVD, BD-R, or BD-RE media! 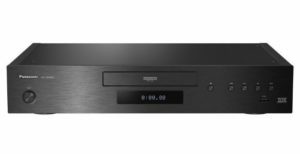 Samsung C8000 is the updated Blu-ray disc player made in 2010. Compared to other similar models of that time, this one triumphed over them, due to a range of new features that caught the eye of many dedicated users. When using the HDMI output, 1080p is accessible and brings a new style of picture quality perfect for wide screens. Being a multimedia player, it supports a variety of media systems, and is able to play songs, movies and even stream from the Internet. Amazingly, it can directly plug and play hard-disk drives, which is a significant convenience for some users. Storage and utilization of data is no problem for this player simply due to its vast compatibility. It is also able to play all common movie formats, for which, a PC would need specific software to play. Burning CD options are available as always, with added WiFi support, making the overall experience much grander. The mini screen provides picture-perfect quality, and the sophisticated outlook is alluring to behold. AllShare connectivity is one of the things that make the BD-C8000 genuinely stand out as a helpful machine, allowing easy sharing of files over multiple devices. However, it does have one crucial flaw that discourages extended usage. This device apparently does not have a considerable lifespan. It has been reported to freeze or stop its wide-screen support after about a year of service, which is a shame since it has so many different things to offer a user.